Meet Rhodes Scholar Steven Wang. Before earning his Master of Public Policy from Oxford, Steven served as a program manager at Teach for China. In the same way as its American namesake, Teach for China seeks to improve educational equity in China by recruiting promising future leaders to serve as teachers. An emerging social entrepreneur, Steven has also been recognized by the World Economic Forum as a Global Shaper, and this coming year he is on his way to Harvard Law School. Steven is one of our new friends. Another is Yang Jackson Li, also with Teach for China. Jackson is an emerging social entrepreneur with significant insights into the future of China’s education system. A graduate of China’s renowned Remin University, Jackson served as a volunteer teacher in the rural Yunnan mountains of China’s southwest, a region known not only for its great beauty but also its significant economic challenges. Among his many projects, Jackson has led the development of reading clubs in China. And you should also meet Ruoxia Li, another impressive Chinese social entrepreneur. She has served as President of Dream Corps, a Chinese nonprofit that creates libraries for rural schools. A graduate of China’s eminent South Central University in Hunan Province, she has also earned a Master of Theology from Wartburg Theological Seminary in Iowa. While in Iowa, Ruoxia became interested in hospice programs during her service as an Americorp volunteer. Today she is leading an initiative in China to promote hospice services through her nonprofit foundation, Yangquan You’ai Senior Care. I could go on and on introducing you to a group of more than 30 inspiring social entrepreneurs leading promising initiatives in China who employ the indigenous power of social entrepreneurship to improve health and quality of life in China. All are friends and kindred spirits in the work of making this world a better place through individual and community initiative. You may be wondering: How did we meet these awesome Chinese leaders? For this extraordinary opportunity, we have to thank Xueshan Ellie Zhang, a data scientist at Microsoft. 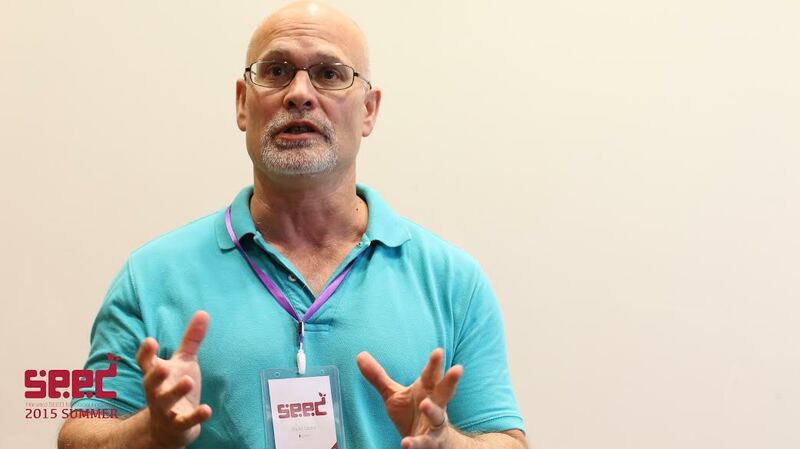 Xueshan found me and several other social entrepreneurs through our work as Ashoka Fellows, and asked if we would join the faculty in this summer’s SEED program organized through Harvard Seed for Social Innovation. SEED stands for Social Responsibility, Empathy, Empowerment and Dedication. Its mission is to educate, inspire and develop a network of young Chinese civic leaders at home and abroad. 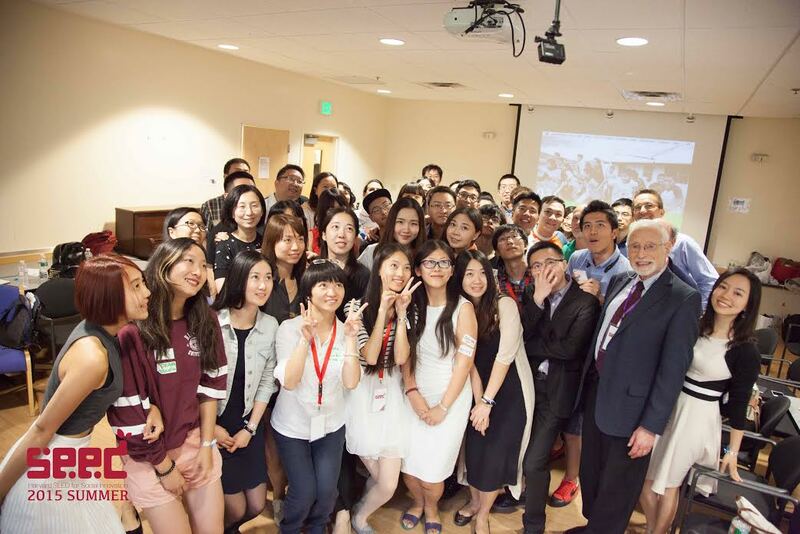 The program creates a cross-boundary learning community for socially inspired Chinese leaders to learn and grow in terms of personal character, social understanding and leadership skills. SEED aspires to help these leaders blossom into world-class changemakers. As with all opportunities to serve, SEED turned out to be a terrific learning experience. Crossing paths with fellow Ashokans, Patrick Struebi (Fairtrasa), Edgar Cahn (TimeBanks), Will Byrne (Groundswell), Dina Buchbinder (Deport-es para Compartir), Stacey Epperson (Next Step) and Sunyoung (Sonia) Park (Founder and Launch Director for Ashoka Korea), I moderated a panel on how social entrepreneurs use innovation to address the tragedy of the commons, a category of systems failure that afflicts all human societies, no matter their ideology or culture. Using this lens, the group discussed a range of significant societal challenges such as sustainable agriculture, rapid climate change, scarce natural resources and troublesome externalities such as water and air pollution. All of these problems involve striking the difficult balance between individual and community interests, and also between the pursuit of gain mediated through markets and the countervailing public regulations that seek to constrain private interests in order to protect communities and those most vulnerable. The Chinese fellows were inspiring in these dialogues: good-natured, savvy, energetic, playful and insightful in their questions and concerns. Joining other Ashokans explaining their work, I made a substantial presentation concerning I-LEAD’s social enterprise (Achieve College Education, ACE) in partnership with Harcum College, helping low-income learners in Southeastern Pennsylvania achieve the powerful benefits of higher education. Our program resonates with challenges that face China today in extending the benefits of higher education to reach populations that do not attain their full potential due to poverty and distance from China’s centers of commerce and political power. I also led the Chinese fellows through an experiential workshop developing two skills at the heart of effective genership: Listening and CoThinking. The group dialogue revealed many similarities across cultures in the challenges that leaders face when developing the strength to listen well and to fully engage group members in collaborative and productive thought. As in America, China’s community and organization leaders sometimes suppress the kind of open, creative dialogue that leads to deep learning and effective change. The risk of dialogue breaking down increases as power is centralized within rigid hierarchies. Leaders who are revered or feared often cease to hear those around them. Strong leaders must work to remain flexible and open, and to encourage and learn from dissent. Leaders share these challenges both in Washington and Beijing. During one exercise, we asked participants to identify the groups in their lives that speak most centrally to their sense of individual identity. We discussed how such group identifications can change over time. As one matures, the category son can lose centrality to the category father. One occupational identification can lose ground to another as an individual develops new skills and work experience. I used to identify with the group lawyers. Now I identify with the group teachers. This exercise reveals the way in which many important aspects of identity strongly affect consciousness and perception, yet remain invisible unless revealed through effective dialogue. Effective leaders deeply understand individual identity in order to improve communication. The main categories of individual identity that the Chinese participants listed (e.g., familial and occupational) were very similar to those of Western leaders. Surprisingly to me, few participants identified with the group Chinese. Those who did identify with that group had spent significant time outside China. This was revealing, illustrating the extent to which our sense of identity is shaped through the encounter with diversity. A fish breaking through the surface knows water in a profoundly different way than one remaining in the depths. Crossing boundaries leads to extraordinary learning, expanding our universe of awareness and insight. As T.S. Eliot wrote, We shall not cease from exploration, and the end of all our exploring will be to arrive where we started and know the place for the first time. I will treasure the brief conversations I had with several young Chinese fellows seeking wisdom to inform their careers. Their sense of openness and willingness to engage were remarkable. As long as there are such generous souls in the world, there is hope for us all. My advice was simple: Keep learning and seize every opportunity to be fully engaged as a creator and leader. In my journey as a Christian and a Quaker (and a leader), I have studied much Asian philosophy, including the writings of Confucius (Analects), Lao Tzu (Tao Te Ching), Sun Tzu (The Art of War), and diverse accounts of the teachings of the Buddha. I have often reflected that the most enlightened leadership in the West draws strength from the wisdom of the East. Be humble. Keep your feet on the ground. Experience the wonder and harmony of nature. Let go of your selfish ambitions. Honor and respect your parents. Remember your family and friends as the foundation of all the good you try to do. And most importantly, remember that the day you think you have it all figured out is likely the same day that you are most confused and stupid.